Did you know that June 10th was National Iced Tea Day? Or that June 7th was National Doughnut Day? Or that back in May, on the 31st, there was an entire 24 hour period devoted to all the glory that is The Macaroon, which is not to be confused with Macaron Day (that is celebrated on March 20). One of the many indirect benefits to operating this here URL is that I am repeatedly alerted to such important celebrations. These include but are not limited to: the day of the Sandwich (November 3) and National Oatmeal Raisin Cookie Day (March 18) and be sure to set yourself a reminder to send your favorite cured meat lover a card on September 7. Why? Because it is Salami Day! Perhaps all these important baking-related holidays have slipped through the cracks in your calendar. That’s okay because there is one day that trumps all the others and it is June 12th. 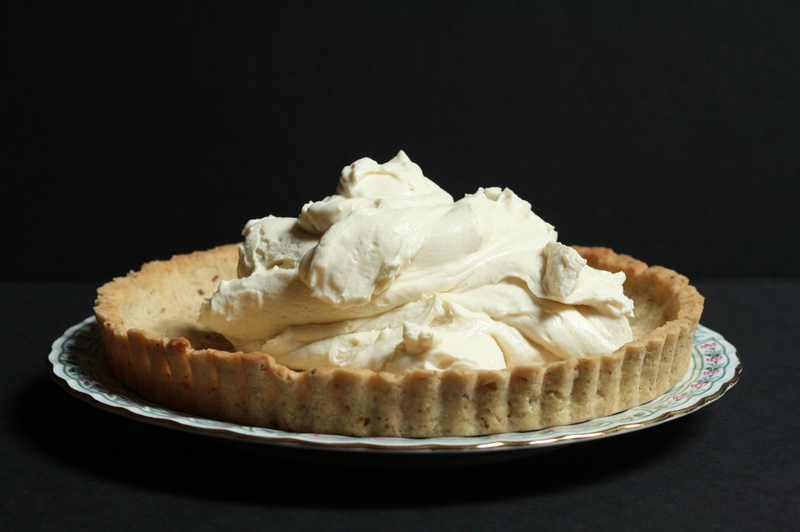 Let it be known to the powers that be that it is National Mascarpone Cheesecake Tart Day! I am declaring it the holiday to end all holidays. Of course, we should not limit ourselves to celebrating this holiday on just one day each year. 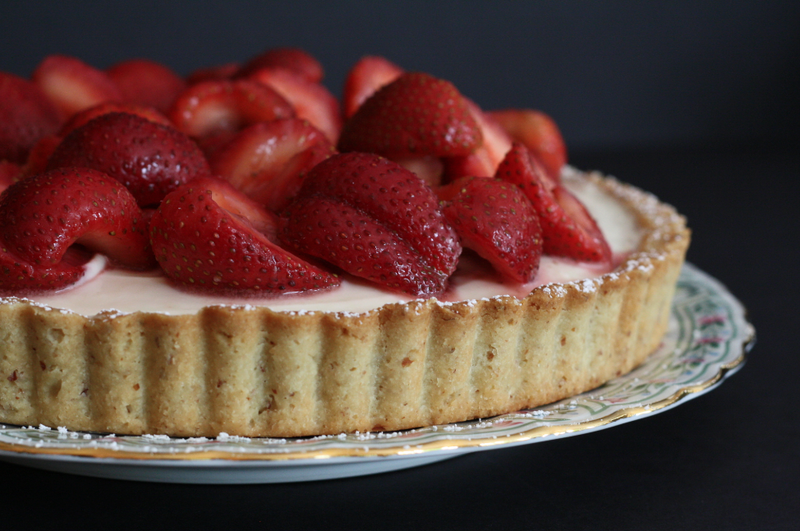 The magical part of this holiday is that every day can be National Mascarpone Cheesecake Tart Day and in all honesty, this tart is too easy to make and too delicious to eat on just one day a year. Also this tart whips up as fast as you can say, “Sure I’ll bring a dessert to your impromptu summer back yard BBQ!” and can be topped with just about any fruit you have on hand. I had strawberries and fresh rosemary which is what I suggest below, but a mix of berries or sliced stone fruit or just a simple chocolate drizzle would all be welcome substitutions. Summertime is happening for real now, my friends, which means let’s all spend less time baking and more time wearing sandals and drinking rosé on a picnic blanket under a large and leafy tree. An Important Update: I have just received word that we are going to have to share our holiday of June 12, as the very important celebration of National Peanut Butter Cookie Day has already laid claim to the date. Press walnut-sized balls of dough evenly around the edges of an 8-inch tart pan with a removable bottom then crumble the remaining dough over the bottom of the pan, and use your fingers to press the dough into an even layer. [See a visual of this in action.] Use a fork to lightly prick the dough (every few inches or so) and freeze for 20 minutes. While it is freezing, preheat the oven to 350. Remove the crust from the freezer and press a piece of foil very tightly up against the bottom and up the sides of the crust. This avoids the need for using pie weights! Yay! Bake the crust for 15 minutes. Remove foil and use a spoon to press back the dough if it has puffed up then continue to bake uncovered for another 15 minutes or until the crust is golden brown. Transfer to a wire rack and let cool completely. Make filling: In a small bowl whisk together Greek yogurt, brown sugar, the juice of half a lemon, vanilla, and pinch of salt until smooth. Beat the mascarpone and cream cheese together in a large bowl until combined, or about 3 minutes, scraping the bowl as needed. Add the yogurt mixture and beat until combined. 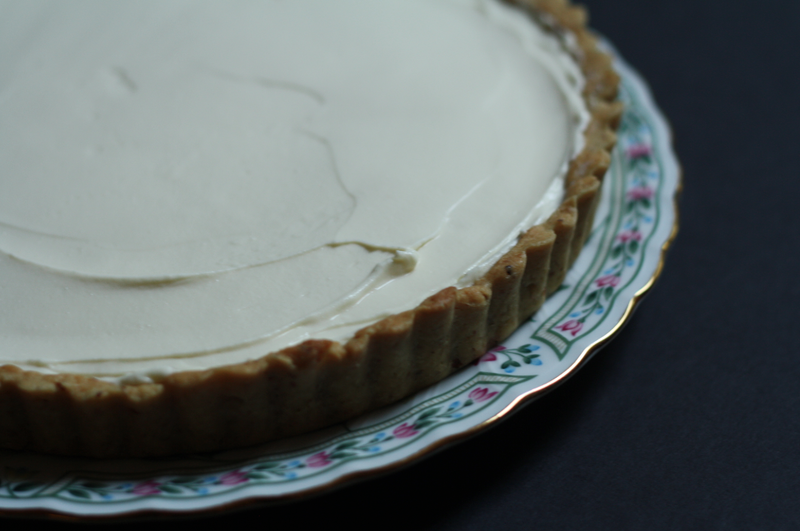 Transfer to the cooled tart shell and use an offset spatula to spread the filling evenly into the crust. Refrigerate for several hours or until firm. 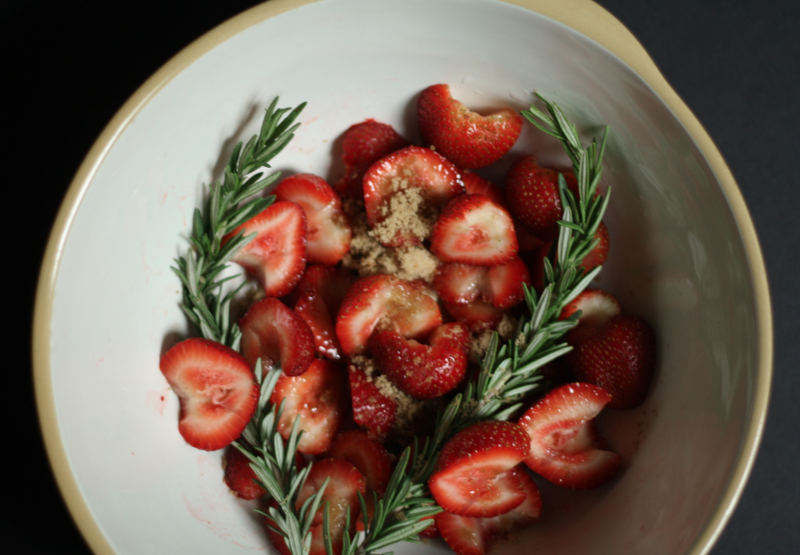 Make the topping: About 30 minutes before you’d like to serve your tart, combine the strawberries, brown sugar, fresh rosemary, and pinch of salt in a medium bowl. Stir the berries every so often as they release their juices then just before serving, discard the rosemary leaves and pile the berries on top of the tart. If desired, pour the juices left behind in the bowl over the top. Slice and serve immediately. Dust with powdered sugar if desired. I’d love love love to find a calendar that listed all national food days! Often whe I learn of one in advance I try to make that dish/ingredient for my family. It puts an interesting twist to dinner. Mmm mmm what a fabulous treat!! This sounds awesome! this looks beautiful! and so perfect for summer days when you don’t feel like baking your life away indoors. strawberries and mascarpone always fit so nicely together, and i love the rosemary addition. Great idea with the tin foil in place of pie weights – worked like a charm. There was more filling than my 8″ tart shell would hold, so will maybe make a 9″ tart next time. 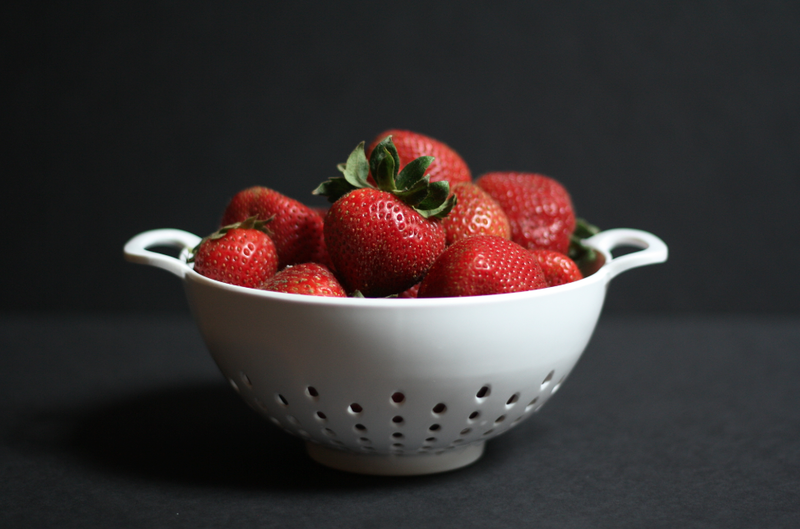 I love your blog, because I can find here so many good ideas! This recipe is also amazing. I ordered a new pie mold, this cake will be the first, that I will try in it! Fresh strawberries are like some of the other good things in life. Now they’re here-then they’re gone! Eat ‘em while you can. They will be back. Spread some sugar on ‘em and eat them while they taste their best. Strwaberries are defineitely part of the great circle of Life. Beautiful photos and love the perspective! Keep them comin’. 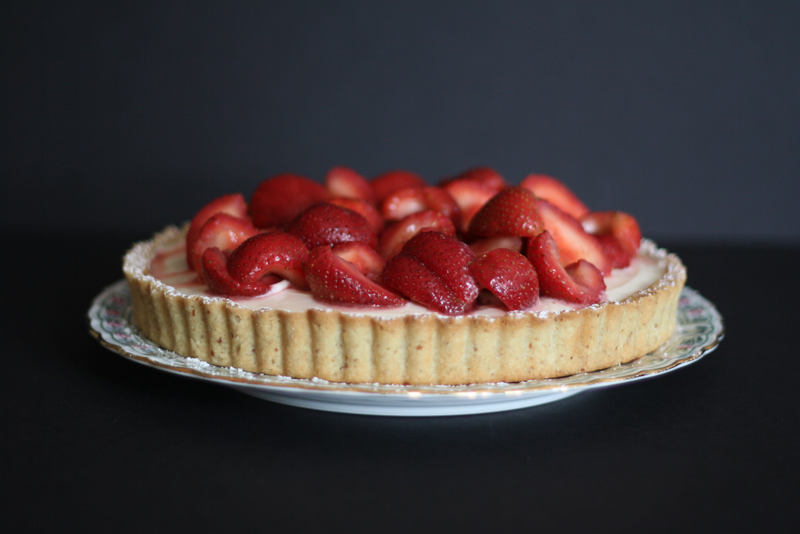 A well-made tart is a beautiful thing. I’m shaking off my bad experience from my first tart and going to make this one! I’m hoping for success! I think this will be the PERFECT dessert for a sunny Seattle party! Thanks for the recipe! Looks fantastic! 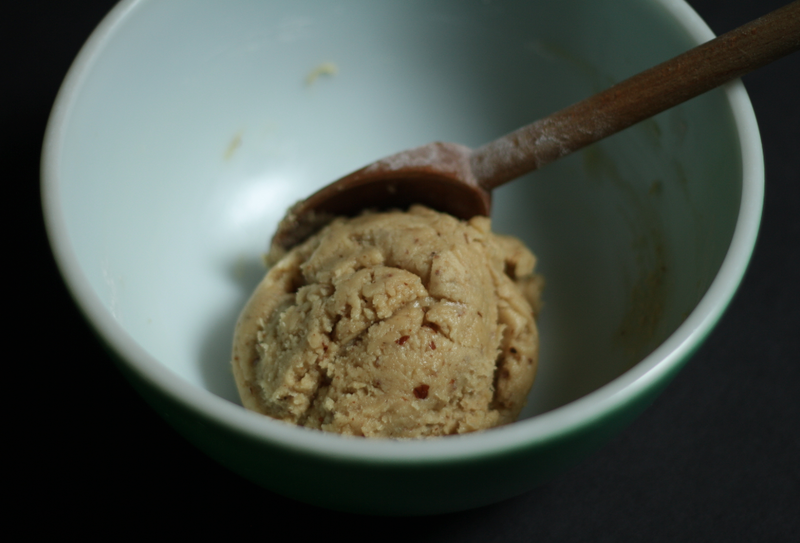 Almond flour is pretty expensive and I don’t have time to make it at home – can I just substitute AP flour 1:1 for it? Yes! The almond flour just adds a bit of nutty flavor, but the crust should bake up fine without it. Happy baking! I put 1/4 teaspoon of almond extract into the dough and substituted wheat flour for the almond flour. Tastes amazing.